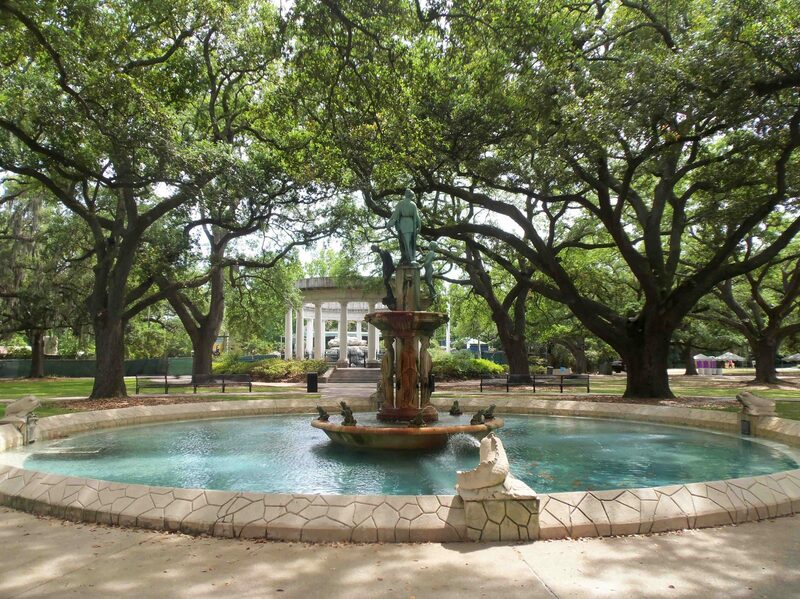 The “Rare Ones” of New Orleans was originally established in 1965. 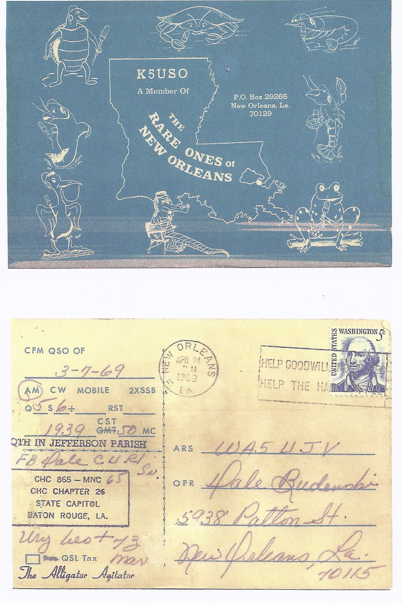 Eight local area amateur radio operators collectively called themselves the “Rare Ones” of New Orleans. Each member represented a local animal such as a turtle, pelican or alligator. The members were an eclectic group of hams who had varied interest in frequency selection and operational modes. Some members worked only CW while others only worked voice/SSB on 40 meters. They were active on 40 and 75 meters at night with roundtable meetings. When an amateur radio operator, who worked all eight members of the “Rare Ones”, a confirmation certificate was issued. Sadly, after much research, we determined the original eight members are silent keys. 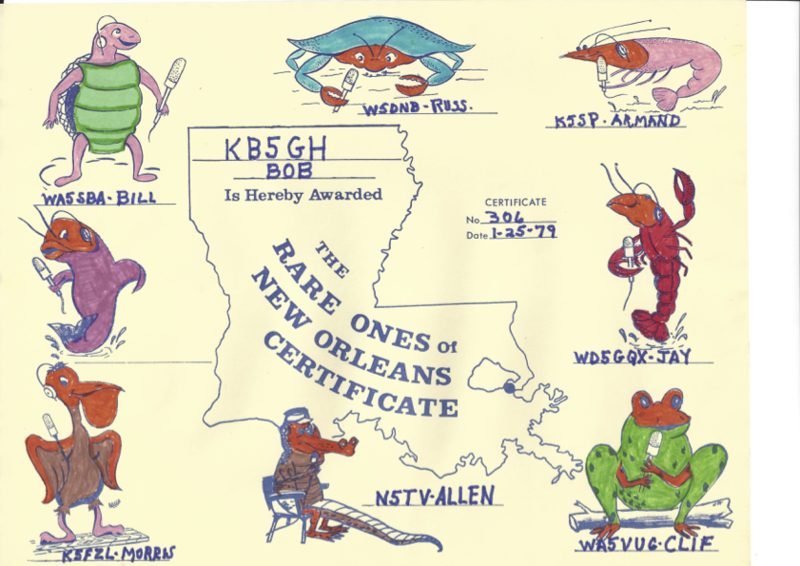 In an effort to promote amateur radio HF communications, the City of New Orleans and the Audubon Zoo, a current generation of amateur radio operators is resurrecting the “Rare Ones” of New Orleans. 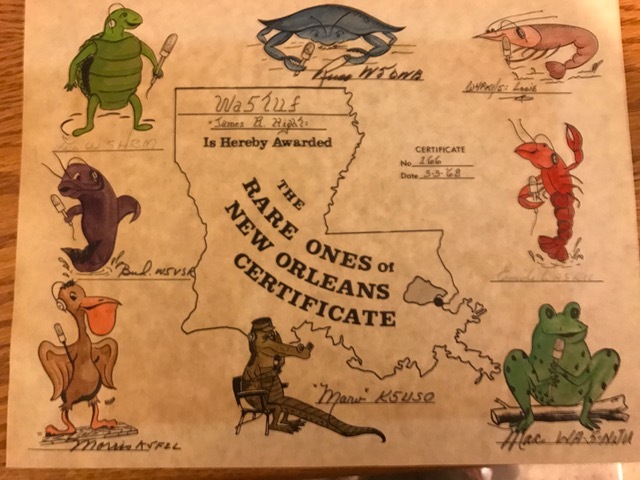 My name is Jim Hight and back in 1968 I worked the Rare Ones of New Orleans and have Certificate Number 166 dated 3/3/1968. My good friend SAP (Dave) told me that he spoke with ya’ll the other night on 40 meters. I thought you might like to see this certificate. I didn’t even know I had it but was going thru some old papers today and found this. It was a real blast from the past. Back then my call was WA5TUF, TUF was just the luck of the draw in the way the FCC handed out call signs. Like WN5SAP went on to become N0SAP. Anyway I’m now W5TUF. This certificate is 49 years old and has been in a folder so it was protected and preserved all these years. I plan on putting it in a frame and hanging it on the wall but thought that you might get a kick out of seeing it.